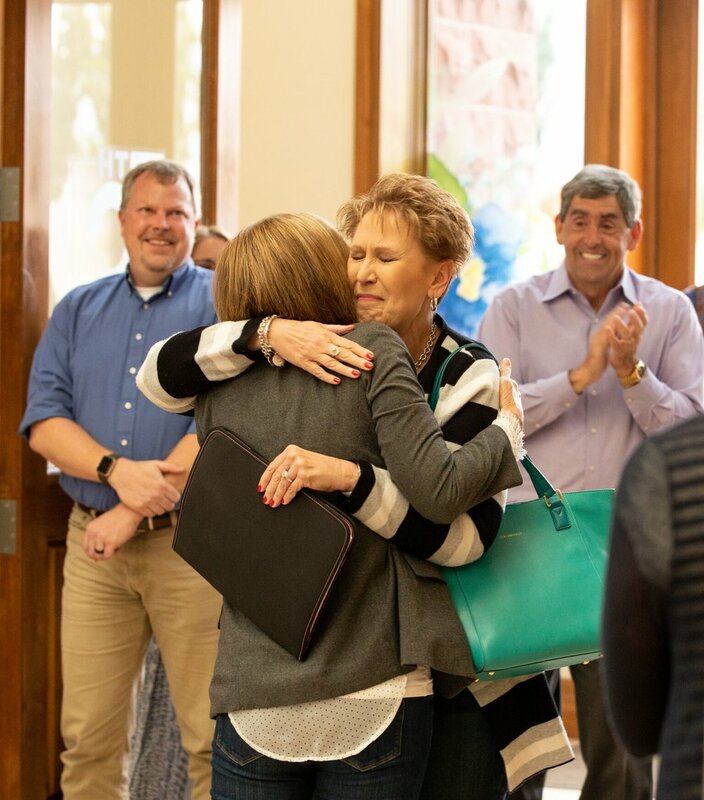 Connie Stewart spent her first day of her one-million milestone celebration at the home office in Riverton last week with a warm welcome from hundreds of appreciative employees. She then worked on a stamp set, had lunch and meetings with employees, and did a video with Sara. Connie and Rich ended the day with a dinner with corporate team members and their spouses. Because Utah had experienced more rain than usual, it was a muddy mess, so the ATV tour on the second day had to be cancelled, and a spa day for Connie and Rich at a mountain resort was the backup plan. Connie says they were enjoying the moment (and the beautiful snow surrounding them), and they didn’t snap any photos, so we’ll just have to imagine! After their relaxing day in the mountains, we got to have dinner with the Stewarts at Tsunami (notice the array…and quantity…of sushi rolls, which we surprisingly ate most everything including dessert) and a delightful visit as well! We loved celebrating Connie and hope she feels celebrated!